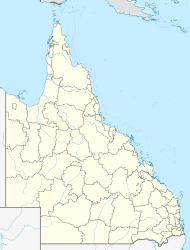 Gaven /ˈɡeɪvən/ is a suburb in City of Gold Coast, Queensland, Australia. In the 2016 census, Gaven had a population of 1,558 people. It is immediately north of Nerang. The eastern boundary of the suburb is marked by the Pacific Highway. It was named after Eric Gaven was a councillor on the Nerang Shire Council from 1935 to 1949 and chairman of the newly established Albert Shire Council in 1949-1950. He won the seat of Southport at the 1950 Queensland state election for the Country Party. He held the seat for 10 years before it was abolished for the 1960 Queensland state election and Gaven then won the new seat of South Coast, which he held until 1966. Gaven State School opened on 27 January 1995, but now is within the boundaries of neighbouring Oxenford. He won the seat of Southport at the 1950 Queensland state election for the Country Party. He held the seat for 10 years before it was abolished for the 1960 Queensland state election and Gaven then won the new seat of South Coast, which he held until 1966. According to the 2011 census it had a population of 1,583. ^ a b Australian Bureau of Statistics (27 June 2017). "Gaven(SSC)". 2016 Census QuickStats. Retrieved 18 October 2018. ^ "Gaven (entry 46047)". Queensland Place Names. Queensland Government. Retrieved 12 August 2013. ^ a b Gaven Archived 2012-10-26 at the Wayback Machine. Queensland Places. Centre for the Government of Queensland. Retrieved on 7 January 2013. ^ "Queensland Globe". State of Queensland. Archived from the original on 2017-12-19. Retrieved 18 October 2018. ^ "Former Members". Parliament of Queensland. 2015. Archived from the original on 2016-05-31. Retrieved 21 April 2016. ^ "Grazier's death". The Courier-Mail. Brisbane: National Library of Australia. 15 March 1950. p. 10. Retrieved 12 August 2013. ^ "Former Members". Parliament of Queensland. 2015. Retrieved 21 April 2016. ^ Australian Bureau of Statistics (31 October 2012). "Gaven (State Suburb)". 2011 Census QuickStats. Retrieved 7 February 2013. "Gaven". Queensland Places. Centre for the Government of Queensland, University of Queensland.